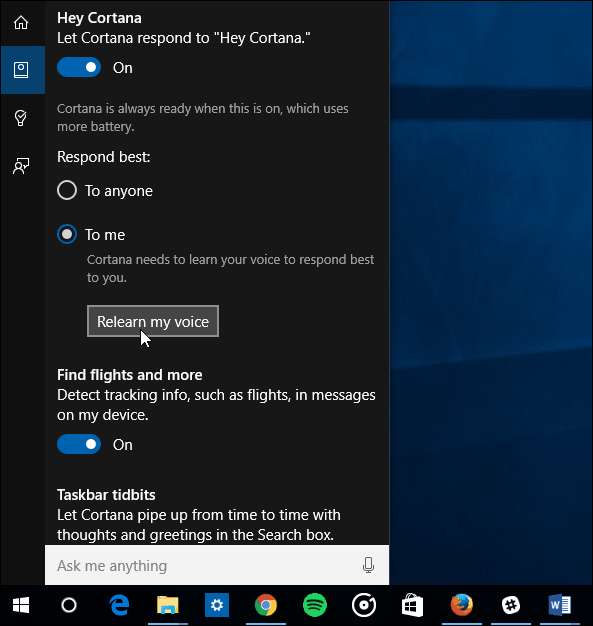 One of the new features in Windows 10, which was ported from Windows Phone, is the digital assistant Cortana. Here’s how to make it understand you better. 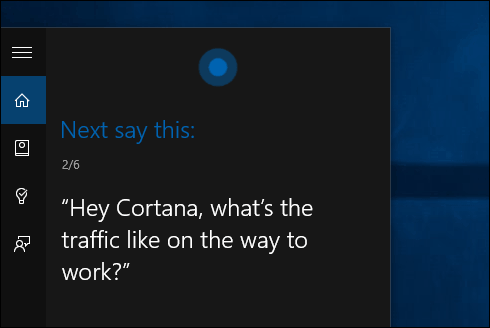 One of the new features in Windows 10, which was ported from Windows Phone, is the digital assistant Cortana. It works fairly well out of the box without any training. 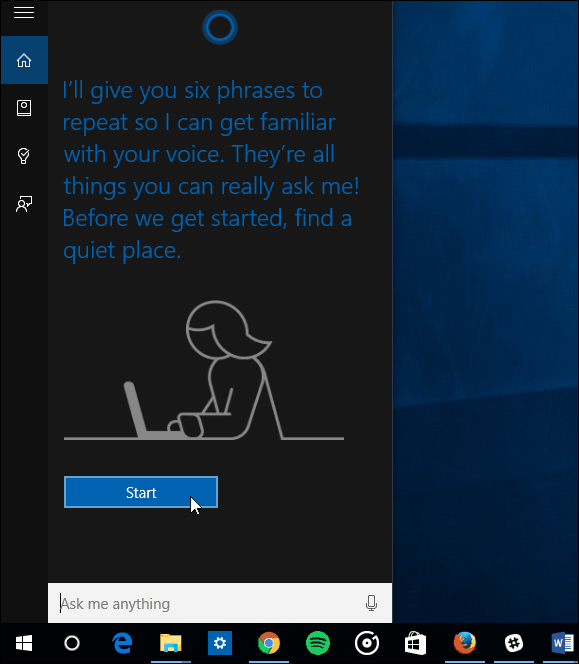 But if you want better results from Cortana, take a few minutes and train it to recognize your voice. 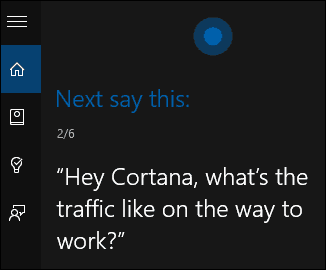 The reason you would want to do this is if you have the “Hey Cortana” feature enabled. Cortana, like digital assistants on other platforms, can do a lot of things for you such as create reminders, open apps or settings, provide sports scores and weather forecasts, and a lot more. In fact, Cortana gets more capabilities through updates on a regular basis. And the better Cortana understands you, the smarter it gets. First, make sure you have “Hey Cortana” turned on by going to Notebook > Settings. And when you do that, ensure that it’s set to Respond best to me. Then just underneath that, select the Lean my voice button. A wizard will start, and you’ll need to go through and repeat six phrases that Cortana reads to you. These phrases are all things you can ask Cortana, and will help it get more familiar with your voice. Make sure you’re in a quiet room without anything playing in the background like music or your TV. Of course, everyone’s voice is different, and this helps the AI that powers Cortana to become more familiar with your pitch and vocal inflections. I do this on all of my Windows 10 devices, and when reading the phrases, just speak naturally like you normally would. When complete, Cortana will understand you better, and will be able to respond faster and more accurately. Don’t be loud and over enunciate the phrases. That way you can speak like normal and get the information you want…just like in Star Trek! For more on the Windows 10 digital assistant, check out our collection of Cortana articles. And, for detailed discussion, join up with our Windows 10 Forums. DO NOT INSTALL THE LATEST DEFENDER UPDATE. I did and it locked my Surface 3 in a cycle of blue screens and attempts to reset that failed. I finally, after 1 hour of going thru different menues to come up will a reset to basic win 10 that’s working. I’m now updating all of my apps and programs, and I doubt I will join the INSIDER PROGRAM AGAIN. seriously thinking of returning the Surface 3 still have a few days left on my 30 day return. Update. My nephew just informed me that his Lenovo Yoga did the same thing. I gues Microsoft is not ready for prime time. Win 10 should not have been released u til it was ready. I’ve been working on this restore for 10 hours. Really tired, and tired of these problems. Alexander, I think your referring to the Surface 4 Pro. First off sorry about u having to go through tha, but then again the fact that u would return a device because u were running a insider preview clearly shows u don’t fully understand what an insider edition is. It has bugs and before u sign up it tells u to not put it on a primary system. Insiders know this and test and make sure the bugs dont happen for people like u that are suppose to use the regular edition not insider. Gee, thanks Mike for setting me straight on how to feel. I’ll remember that the next time. Oh by the way people like me ? I probably have more computer/ tech knowledge than you have in your little finger as I’ve been involved with this technology since 1985, testing software and building computers. Next time know who your talking to and mind your own business. My thoughts or feelings doesn’t concern your small brain. Lmfao Joe. You obviously can’t read. I have read the “Learn my voice” section to Cortana repeatedly, yet unless I ask those questions, or a slight variation of them (i.e. “”What’s on my calendar for Saturday” instead of Wednesday), I get the bing pop-up search engine instead of her giving me a verbal answer. I keep asking different questions in hopes that she (it) will learn my voice, but I always just get that search engine. Any help/suggestions?